With the help of Opta, we look at the career of James Anderson, who now sits fourth on the all-time list for Test wickets. He started out at Burnley now he's here – James Anderson is the leading seam bowler when it comes to Test wickets. 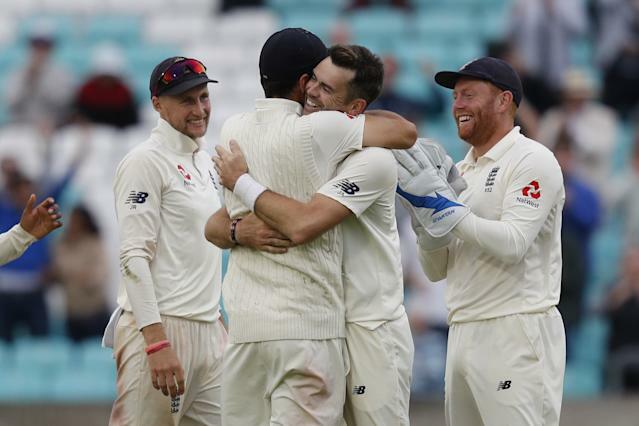 With the dismissal of Mohammed Shami in the fifth Test against India at the Oval, the England paceman claimed his 564th victim, jumping ahead of Australia's Glenn McGrath to sit fourth on the list of wicket-takers in the longest format. Only a trio of spinners – Muttiah Muralitharan (800), Shane Warne (708) and Anil Kumble (619) – sit above Anderson, who shows no signs of losing his appetite for the game at 36. The hairstyles have changed through the years but he has become a model of consistency when it comes to red-ball cricket. It has not always been plain sailing, but Anderson has recovered from the dips to become a master of his art. Here, with the help of Opta, we look at the numbers for England's swing king. Anderson has, obviously, taken the majority of his wickets on English soil, where conditions often aid seam and swing bowlers. Using a Dukes ball also helps, as it tends to have a more pronounced seam and stays in better condition for longer than its Kookaburra counterpart, which is used in the southern hemisphere. However, while he has plenty going in his favour in England, Anderson has enjoyed success overseas, too. Only in Sri Lanka – where he has played just four Tests in his career to date – does his bowling average exceed 40. Perhaps surprisingly, his record in South Africa – where, like in England, seam tends to dominate proceedings – has seen him claim 25 wickets at 39.9, while the right-armer has snared 26 wickets at 32.8 in New Zealand. He has played the most number of Tests abroad in Australia (18), taking 60 wickets there at an average of 35.4. He bagged 24 of those in 2010-11, helping Andrew Strauss' side record England's first series win Down Under in 24 years. The United Arab Emirates (22 wickets at 20.5) - where Pakistan have played their home games - and the Caribbean (26 at 24.9) have also been prosperous locations for Anderson, but there is no place like home. Playing at Lord's can be too much for some. The history of the surroundings coupled with the unique conditions, as bowlers have to take the famous slope into account, can make world-class specialists look distinctly amateur. Anderson, though, has relished the chance to perform at the home of cricket. It was where he made his Test debut, claiming 5-73 in the first innings against Zimbabwe in May 2003. It is comfortably his most successful spot in terms of Test wickets as well, with 103 scalps in 23 appearances. 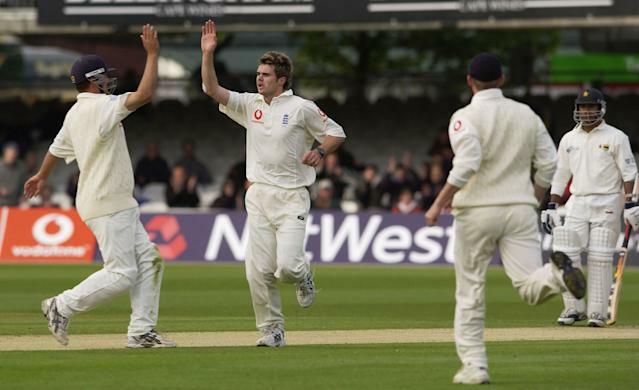 Anderson's name is on the home honours board six times for claiming five wickets or more in an innings, though he has yet to register 10 in a match at Lord's. Yet, according to the statistics, Trent Bridge is Anderson's favourite hunting ground. In 10 Tests, he's taken 64 wickets - including career-best match figures of 11-71 against Pakistan in 2010 - at an eye-catching average of 19.62. Not since Robin Hood's days has anyone else been so accurate in Nottingham. Anderson has not failed to take over 35 Test wickets in a calendar year since 2007, when he played in only five matches following remedial work on his action that left him low on confidence and uncertain of his place in the XI. Since reverting back to the methods that underpinned his meteoric rise from club cricket to the international arena, he has become the spearhead of England's attack. "I'd made a quite a big technical change and I really did struggle with it to the point where I was thinking about the action during games, which is a horrible place to be. So it was a great thing to go back to the old action," Anderson told Sky Sports prior to the five-match series against India. His best year to date was 2010, with 57 wickets at an average of 23 at a strike-rate of 48.7. There has been no sign of Anderson slowing up in terms of the numbers, though, as he snared 55 scalps at an astonishingly low 17.6 in 2017. While the pace may have dipped a little over time, Anderson has honed his skills. Once prone to erratic spells, he is now an efficient wicket-taking machine. So, how do the top two seamers compare? McGrath grabbed his 563 wickets in 124 Test appearances, finishing with an average of 21.64. While Anderson is all about swing, the Australian focused more on seam movement, making use of his height and metronomic action to repeatedly probe away on a nagging length. Still, while the methods differ, there are statistical similarities between the pair. Both boast an economy rate under three runs per over - McGrath's finished at an absurdly low 2.49 - and the pair have also managed three 10-wicket match hauls apiece. 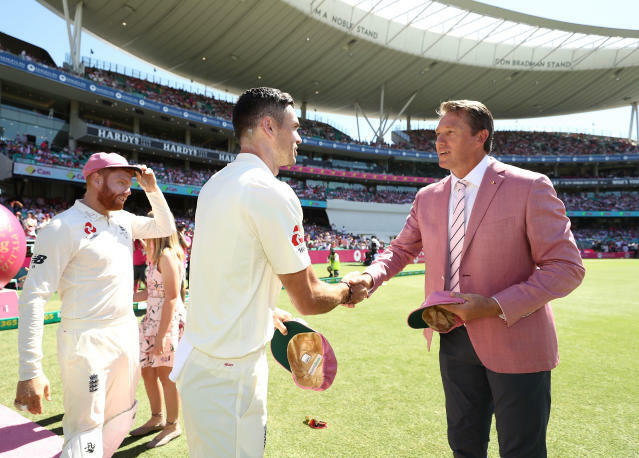 Despite the storied rivalry between their respective nations, McGrath declared his admiration for the man who has replaced him in fourth spot on the all-time list. "I have an awful lot of respect for Jimmy. Good luck to him. I believe once he goes past me he will never be beaten," the New South Welshman, famous for his 5-0 Ashes series predictions, wrote in his column for the Daily Mail.